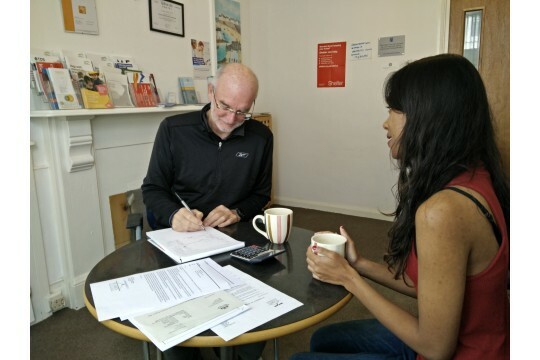 Serving the community of Brighton and Hove by providing help, advice and guidance to people in need. We provide support to those particularly at risk from social exclusion due to issues such as low income, debt, disability or mental health problems. St. Luke's Advice Service provides free advice, information & help with form filling to assist clients to claim benefits to which they may be entitled and we help those in debt by negotiating with creditors on behalf of clients. We can also supply expert assistance for clients who had been refused disability benefit and need to go to tribunal. From the outset our aim has been to deal with people rather than issues and give all those who approach us time so that they can feel supported and valued in times of crisis. There are other organisations within the city that give advice on debt and welfare benefits but St. Luke's unique approach is to we offer clients time, hope and an opportunity to address the issues that worry them; we offer an holistic service and help those individuals who fall between the cracks of all the other services. During 2015 we helped 445 people in need (291 clients via face to face appointments / casework and 154 received advice over the phone). We helped clients clear nearly £285,000 in debts though Bankruptcies and Debt Relief Orders. We were successful in 100% of benefit tribunals for which we assisted clients. Our volunteers donated 2,500 hours of time. If valued at the living wage, this would equate to almost £21,000. We are always interested in meeting people who would be interested in supporting our work as a volunteer. We have roles for caseworkers, a fundraiser and various administration roles.